Two days ago I had a meeting with one of my teachers, and I decided to go hunt for some K-beauty products afterwards. I have seen Tony Moly mentioned here and there, the last place I heard about it was from a danish beauty blogger EvaK who mentioned that they’re finally available in Sephora Denmark (ps. 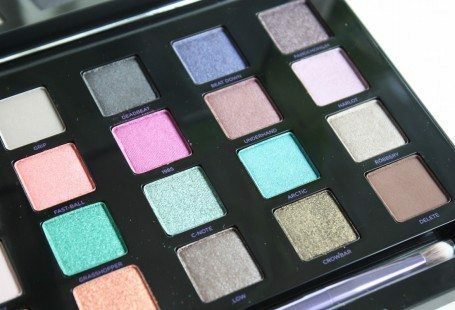 if you’re danish and you like makeup I’d recommend you to follow her blog). So I went to Sephora and picked up a few items. I am very excited to use them some more and test them properly. 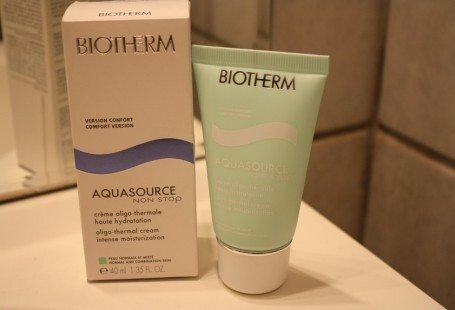 I’ve tried all of the products mentioned here at least once, but we all know once is not enough to know if they really work – but it is enough to know if you like it, or not. Although I know he has made quite a few different ones I only got a hold of a few because they hadn’t got more yet, two of which I will give away to you guys! 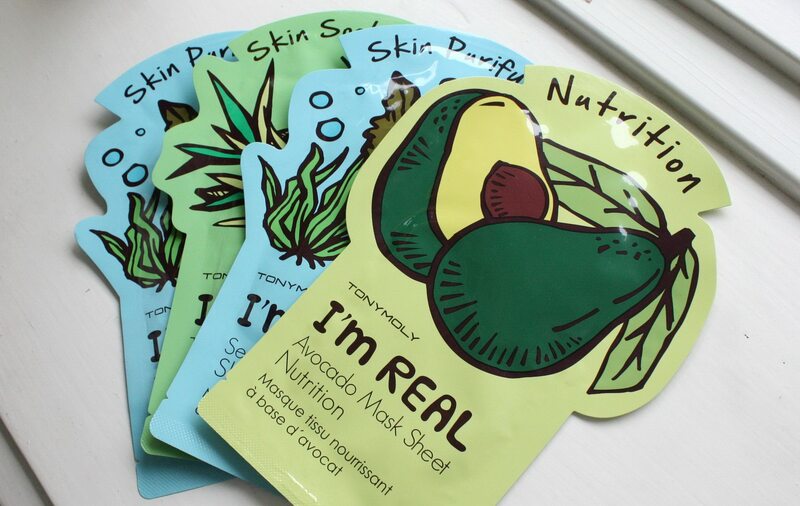 Each mask has different benefits for your skin. I’ve tried the Seaweed mask and it felt really nice and refreshing, it smelled amazing and although I didn’t feel any immediate results I did feel my skin was a bit nicer the morning after. I look forward to try more of these! 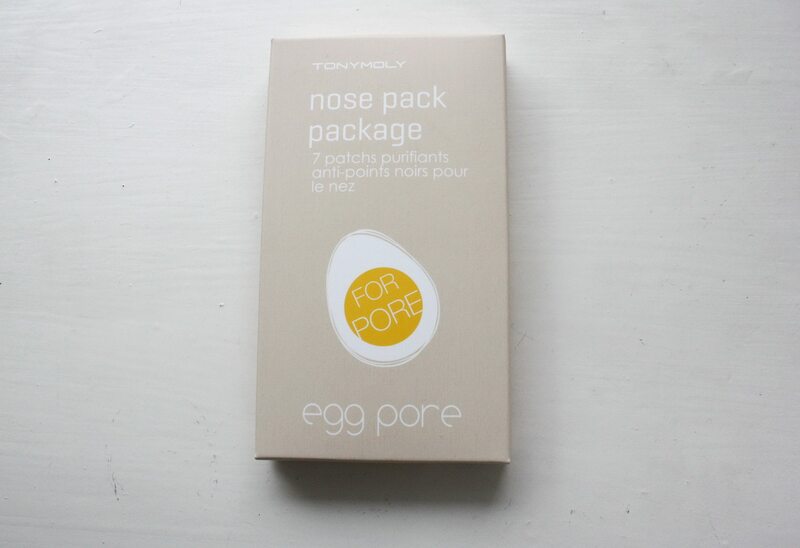 This will according to Tony Moly make my nose as clean as a steamed egg. Not sure if that’s #nosegoals? But I do like the sound of having a super clean nose (not that I think my nose is particularly dirty). However, I do have larger visible pores on my nose so it does seem to get more clogged, and if this mask can help that – I’m all for it! I tried it yesterday and it sure did ‘pull’ a lot of dirt off. So far I like it. First of all I can’t get over how CUTE this packaging is. Second of all, it really does feels quite cooling. 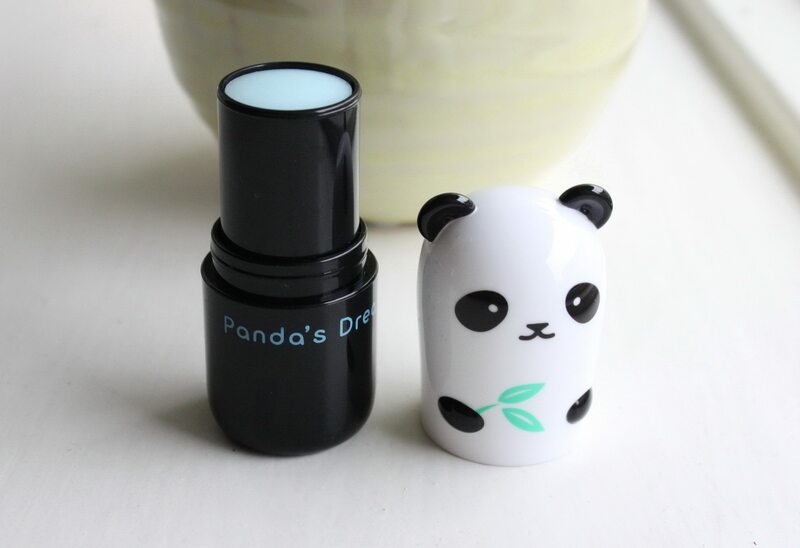 This portable eye serum in a stick promises to instantly cool and de-puff tired eyes, it’s infused with bamboo extracts which helps soothe the eye area. I’m not sure if it feels soothing but it definitely feels cooling, and it smells pretty good too. 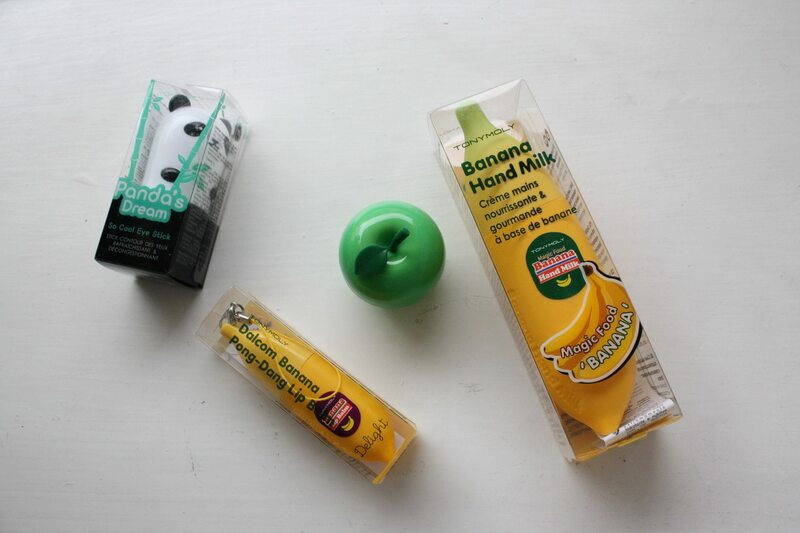 The Green Apple lip balm is probably my least favorite of all the products, mainly because I don’t like the smell. It’s supposed to smell like green apples, and to me it does not resemble that at all. 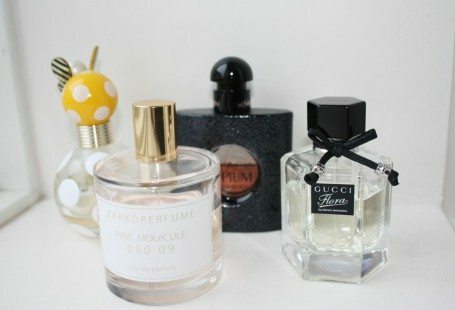 I’m sure many people would love this smell, I just don’t. The texture of the balm feels alright but I prefer the banana lip balm a bit more. This lip balm contains banana extract, milk protein extract and coconut oil. 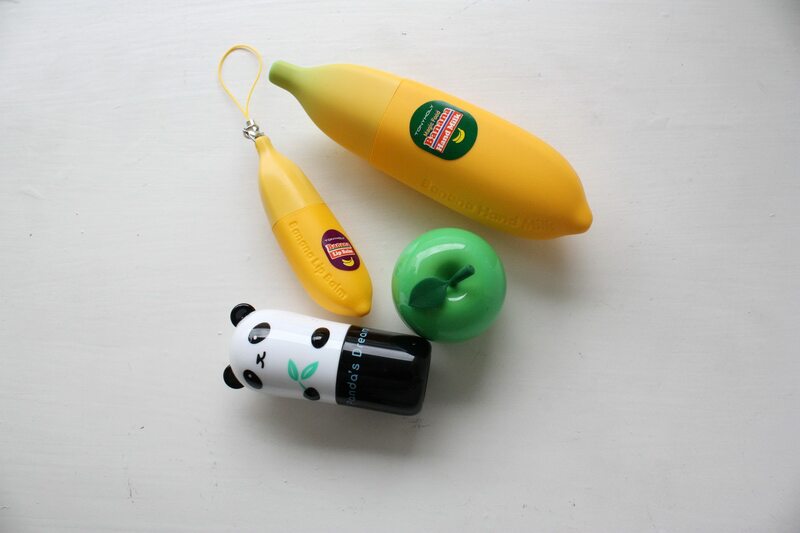 It ‘tastes’ of bananas, and since I love bananas, I must admit I love this. The texture feels really nice on my lips and I love that it comes in a tube instead of a little pot like the Green Apple does. Do I think it’s better than Elisabeth Arden’s lip balm? I don’t think so, but this one tastes better haha. This hand-lotion is meant to supply moisture and elasticity to your skin. It contains banana extracts, shea butter and macadamia oil. And it smells AMAZING. It basically smells like a delicious banana smoothie. It doesn’t feel too sticky after putting it on, and it seems to do its job! I am positively surprised of this brand. I wasn’t sure what to expect because it is fairly cheap and the packaging kinda makes it look like it’s not going to be the best quality. But that couldn’t be further from the truth, and this is just a testament to the fact that you should never judge a book by it’s cover. Because it does feel good, and the nose mask especially impressed me. It’s just a bonus that it’s an affordable brand. I will definitely be repurchasing the masks, both nose and face one. Ps. Follow me on snapchat ? (@leahsephira) if you want to see me test and try out the products. I will be ‘snapping’ it all there.